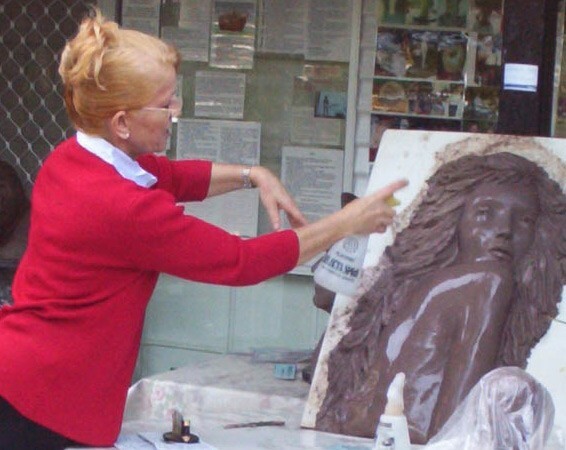 Thursday’s art sculpturing clay classes. Thursday's, On-Going Art Classes for three hours, 9-12pm, 1-4pm & 6-9pm. 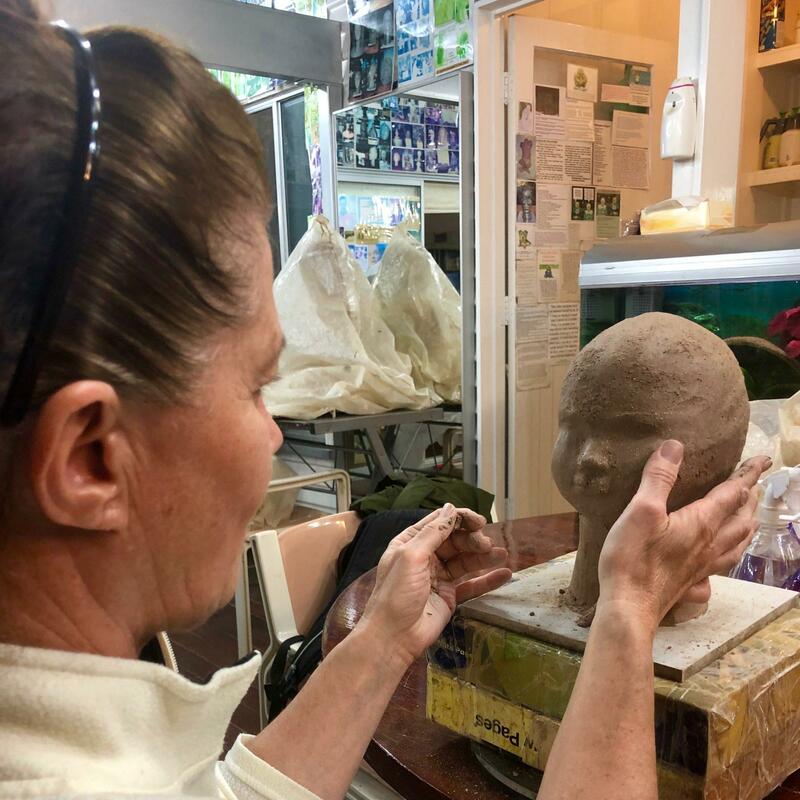 People find their way to a beautiful relaxing, Feng Shui Garden In Birkdale, where they relax in good company and learn the art of sculpting. 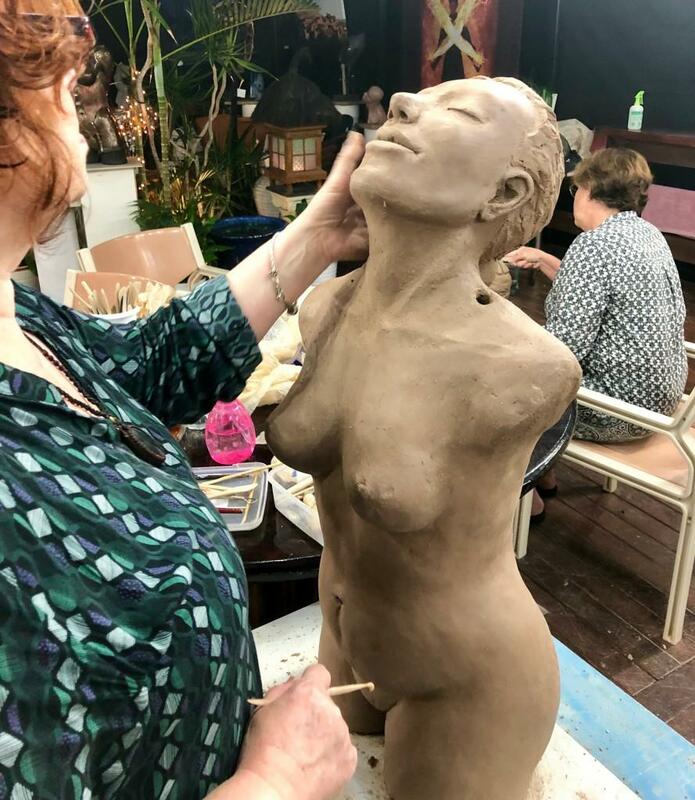 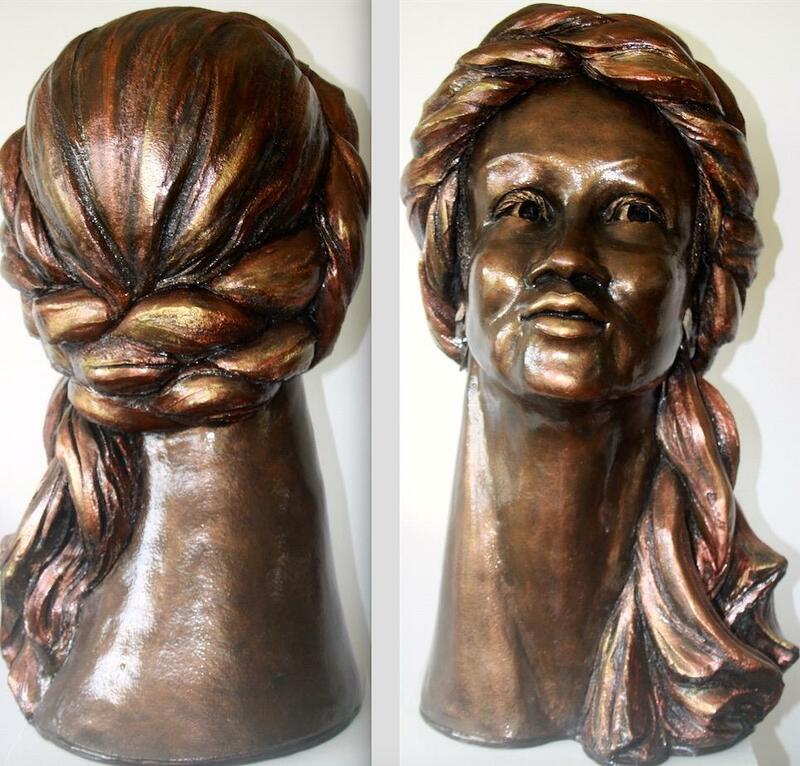 People from all around Australia, from Melbourne to Claremont in Queensland and the US / England and now from France who is taking the sculpting course, along with her daughter who lives here and is now being tutored by Brisbane Sculptor Georgette Schwantes.